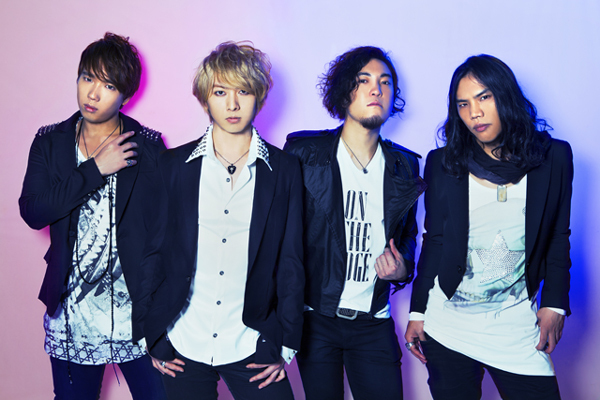 An Alternative rock band formed in Tokyo in 2010. Began live activity immediately after the groups founding. Began writing their own songs in parallel and began recording their album in L.A. in the beginning of 2011. On October 19, 2010, released their 1st EP “PIECES BY ELEMENTS” from GRANDCODE. On October 24th, the EP won them 1st place on TOWER RECORDS Shibuya’s Daily General Chart which led to widespread exposure on various media. On June 7th, 2012, held a one-man concert at O-WEST, which ended in great success. In November 2012, welcomed Taki as new vocalist. On December 5 that year, released the new lead track from their next album “Sunrise” and began their release tour. The tour consisted of 31 shows, which ended with the bands second one-man show at Shibuya O-Crest. With all members holding the same question in mind, “What is the true essence of music”, the band composes songs with the serious intention to bring peace to the world. The band’s sensual-yet-dynamic live sound and the high quality, world-class songs based on UK rock have been acclaimed worldwide. In May 2013, released their new EP, which led to the beginning of their endeavor as an international artist.